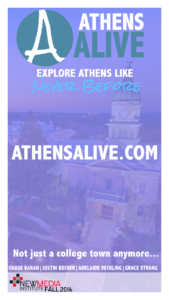 Athens Alive is a grassroots effort to attract young professionals to Athens and help them thrive when living there. 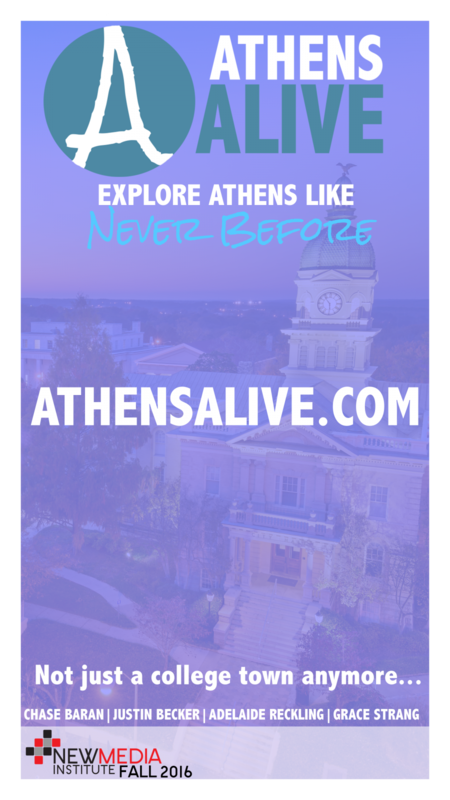 It is a modern website that allows users to stay up to date with events and explore Athens like never before. It features what the city has to offer through an events calendar, interactive video map, and other useful resources. The site as a whole places emphasis on what makes Athens great: Involvement, Creation, Entertainment, Food, Adventure, and Culture.